This 2 Tone Heart Cathedral Engagement Ring has hearts both underneath and on the sides of the 3mm center stone. 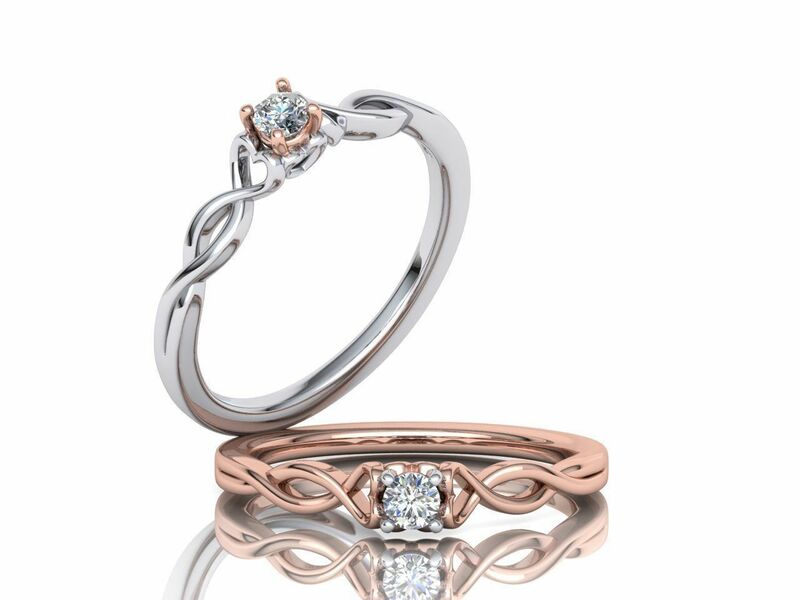 The band starts at the bottom as an infinity symbol and ends up at the center stone as a heart. It is shown in yellow Gold as well as in 2 tone with a yellow gold head and white Gold shank. It will look better with a center stone of at least 5mm and it would also be possible to add stones to the band. Our 2 Tone Heart Cathedral Engagement Ring was meant more as a promise ring, but it would look gorgeous as an engagement ring with a larger center stone. 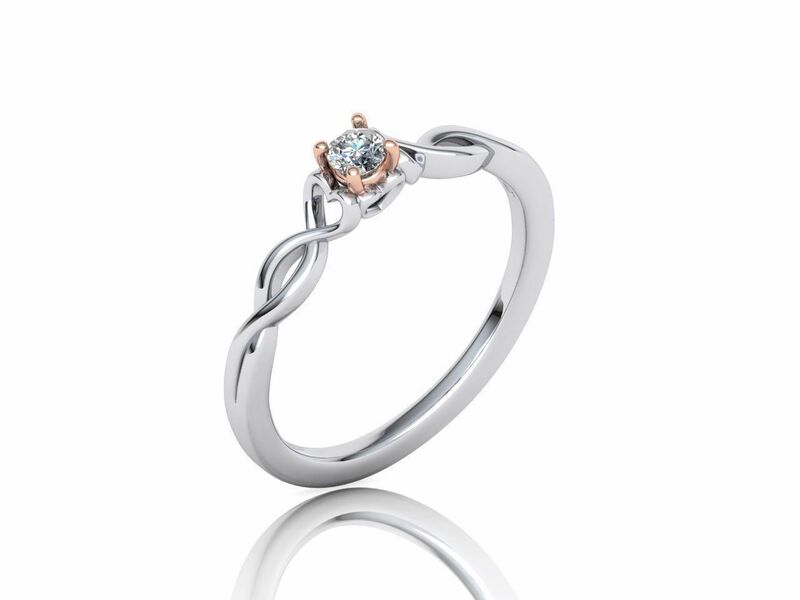 Click HERE to see another 2 Tone Heart Cathedral Engagement Ring design or contact us with your own idea. It is easier than you think to have your own custom 2 Tone Heart Cathedral Engagement Ring made just for you and can also cost less than at the mall stores.